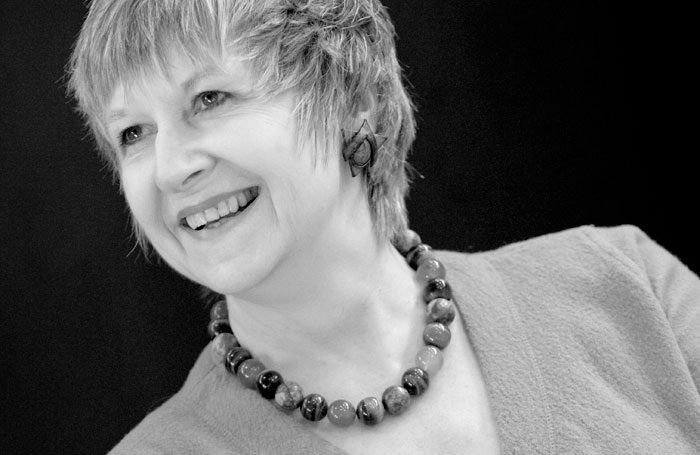 Barbara Kirby came late to acting, leaving behind a promising career in the Metropolitan Police as an executive officer in internal investigations in New Scotland Yard to tread the boards, latterly becoming a valued ensemble member of the National Theatre. Although she had been performing with the Beckenham Theatre Centre from the age of seven and remained with them into adulthood, when she also joined Bromley Little Theatre, she was stubbornly reluctant to consider acting as a career. The offer of an Equity card in 1985 for The Good Olde Days in Margate’s Winter Gardens changed her mind and her life. Having read English and Drama at Manchester University (where her contemporaries included the playwright David Edgar and director Sue Dunderdale), she joined the police force as an administrative assistant in 1968. When she resigned, on a Friday 17 years later, the following Monday she began rehearsals for her first professional engagement. She served her apprenticeship in variety shows in regional venues and was noticed by The Stage in Mrs Cole’s Music Hall at the Mill at Sonning in 1987, which judged her “Pocket-sized Percussionist’s One-Woman Band” to be “a riot”. Character roles quickly followed, her Mistress Quickly (The Merry Wives of Windsor) at the Lakeside Theatre, Hever Castle, in 1991 a scurrying bustle of activity. Her 1992 Emilia (Othello) at the Swan, Worcester, revealed an actor of subtlety and insight, while Sarah in Alan Ayckbourn’s The Norman Conquests at the Worthing, Connaught, showed her considerable comic abilities. She drew attention as a speechless, drug-addled patient in Arthur Miller’s The Last Yankee and for her fierce shampoo sponsor Hilary in Louise Page’s Golden Girls at the Mercury, Colchester, in 1996, and demonstrated “hilariously perfect timing” in Ayckbourn’s Relatively Speaking for Hull Truck the following year. Ayckbourn proved the source of two remarkably assured performances: as the ill-fated time-traveller Ruella in Communicating Doors (Swan Worcester, 2000) and as Susan, fleeing from an unhappy home life into fantasy, in Woman in Mind (Bolton Octagon, 2001), for which she was nominated for a Manchester Evening News Theatre Award. She was seen alongside Michael Pennington’s John Gabriel Borkman (Ibsen) with English Touring Theatre in 2003 and opposite Stephanie Cole’s Madame Arcati in Noel Coward’s Blithe Spirit at the Savoy Theatre in 2005. As a company member with the National Theatre in recent years, notable productions included two Alan Bennett plays – The Habit of Art (2009) and People (2012) – both directed by Nicholas Hytner, and Richard Bean’s phone-hacking satire Great Britain, which transferred to the Theatre Royal Haymarket in 2014. She was also a feisty and fun Countrywoman in George Farquhar’s The Beaux’ Stratagem in 2015. Before her death from leukaemia, she had been collaborating with Hytner on the development of a new play for the Bridge Theatre. Her few television appearances ranged from ChuckleVision and Inspector Morse to Poirot, The League of Gentlemen and the 2011 Ralf Little comedy The Cafe. Barbara Kirby was born on September 10, 1946, and died on December 6, aged 72.